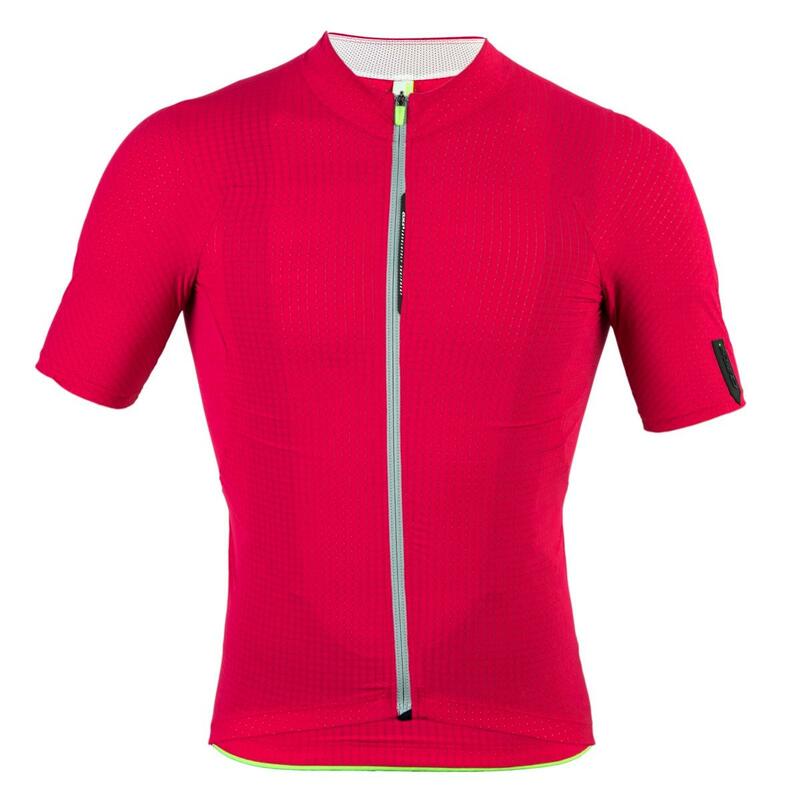 As with all Q36.5's products this is a carefully shaped and extremely comfortable jersey that also includes some subtle technical innovations. The L1 Pinstripe is constructed from a polyester microfilament which contains a pure silver thread (2% of the fabric composition, equivalent to about 2g of silver per jersey). This shows as a subtle pinstripe running vertically through the weft of the fabric. 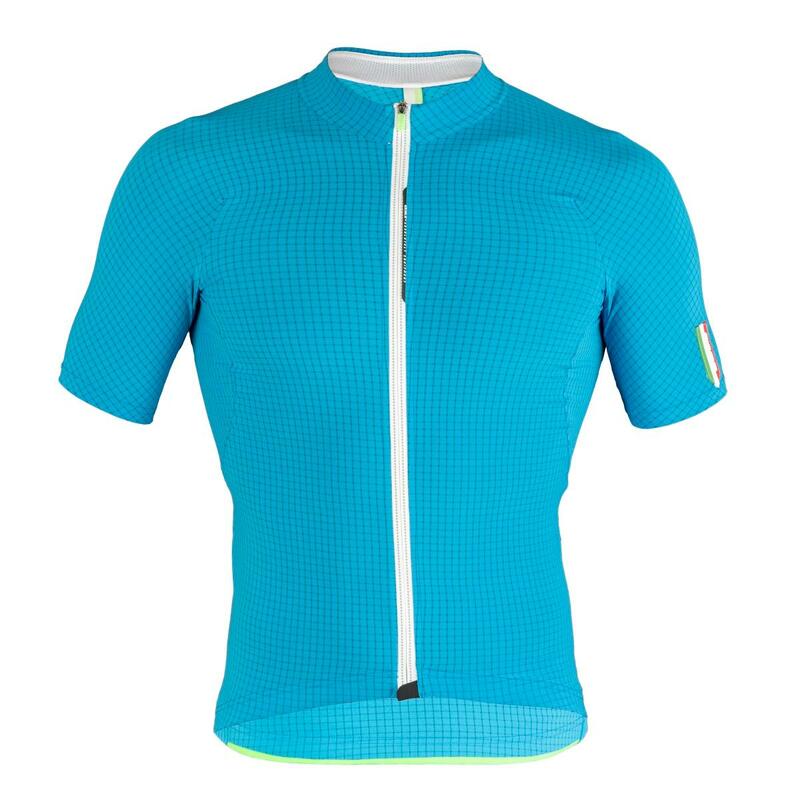 The weave of the fabric is optimised for breathability, which also equates to fast drying times. 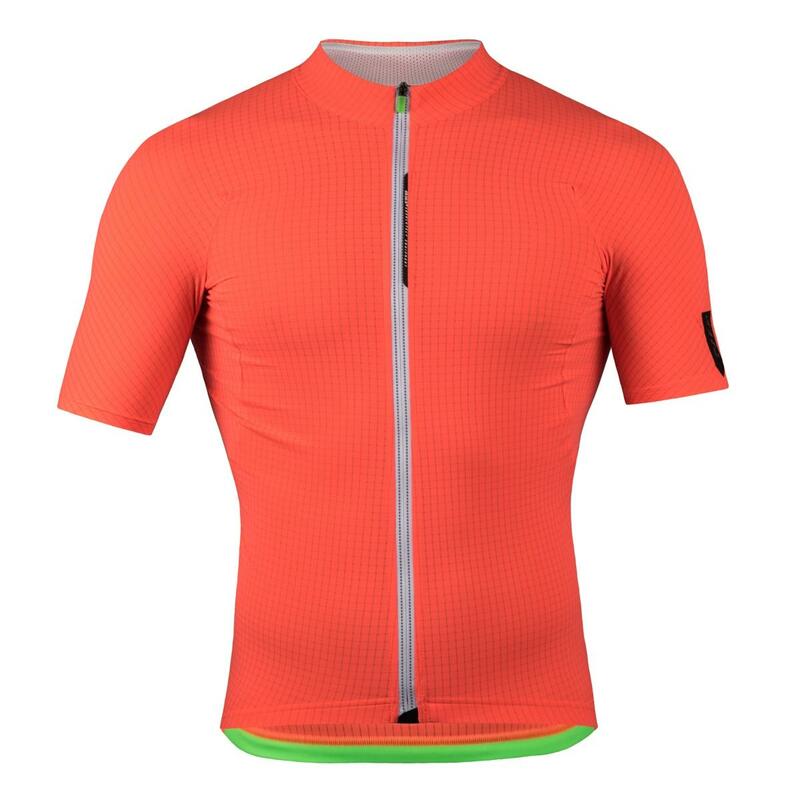 It's also remarkably light weight, despite appearing to have a slightly thicker (and beautifully soft) cloth, much nicer to wear next to the skin than some of the crinkly paper-thin summer jerseys out there. 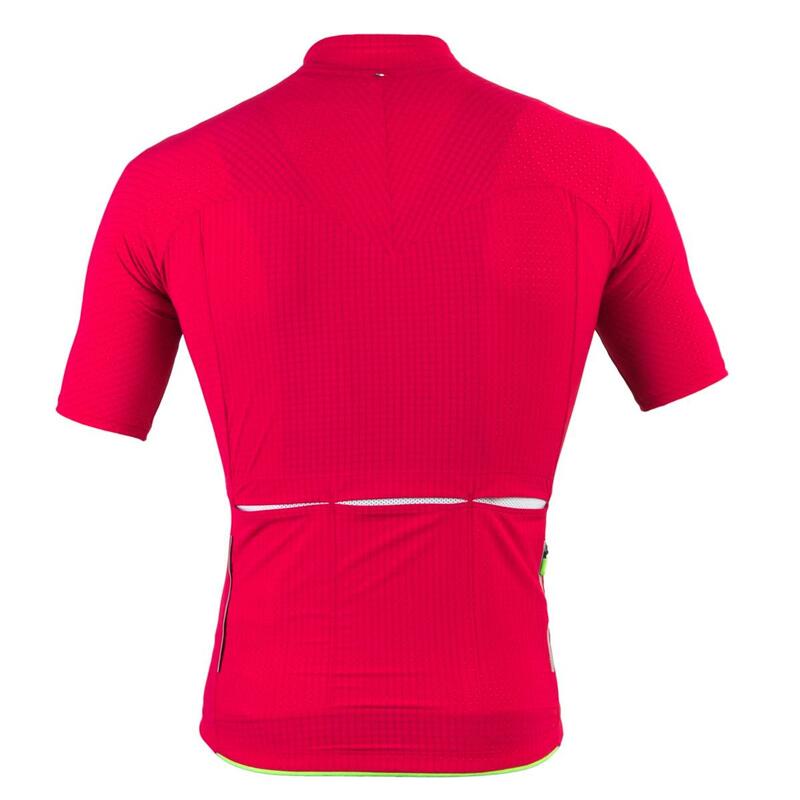 This weave also provides valuable extra protection on descents after long climbs, just the time when you need a little extra protection. 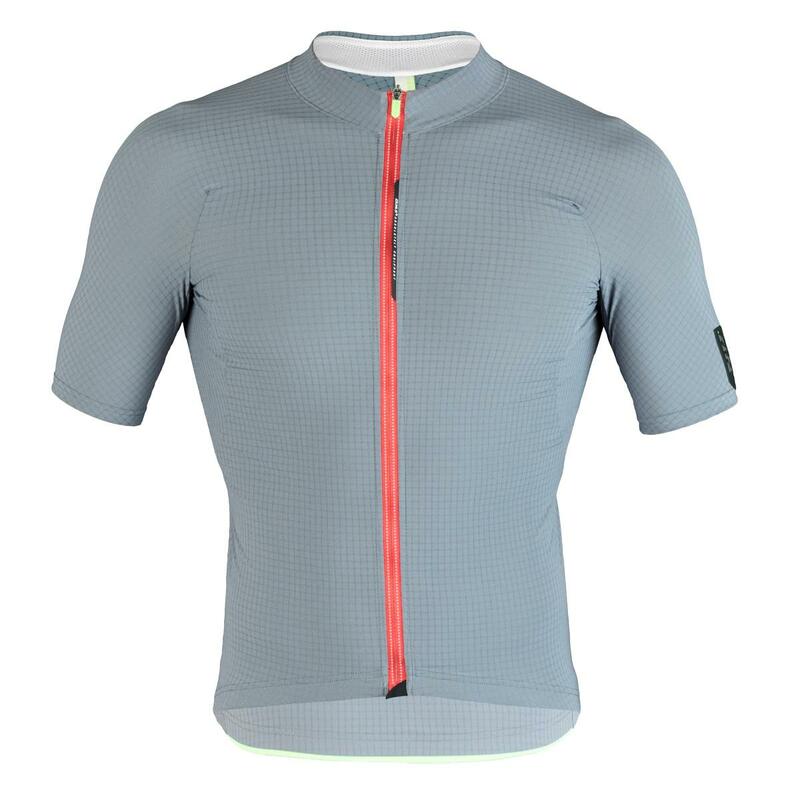 The jersey is designed in Q36.5's "ergonic" fit, to be snug fitting but not constrictive. 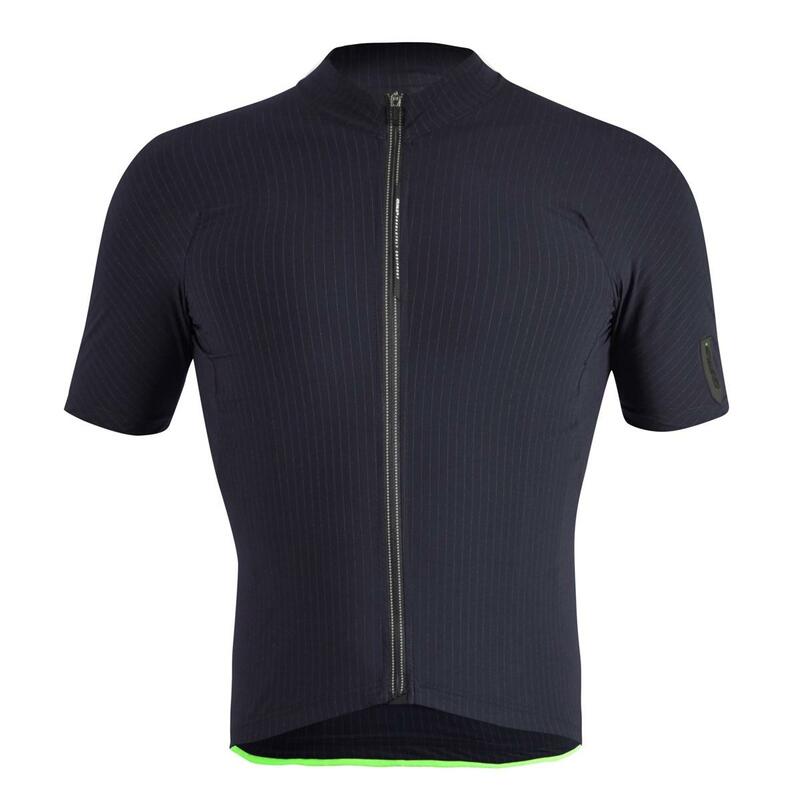 The natural stretchiness of the fabric, combined with some clever panel shaping and minimal seams, makes this a superbly comfortable jersey. Silver has fantastic thermal conductivity. This means it can distribute heat quickly and evenly across its surface. Evaporation is also accelerated by silver's high level of conductivity in a humid environment. 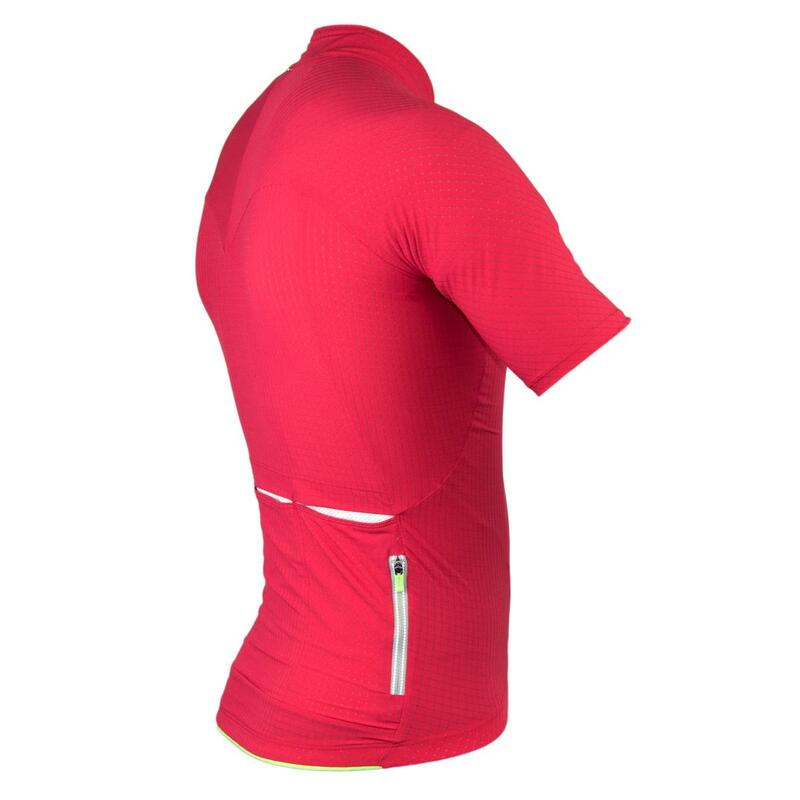 As a result the wicking and cooling properties of the fabric are improved, and a slightly heavier weight cloth can be used to give improved comfort and feel without any impact on performance or heat efficiency. The anti-static dissipative effects of silver also improve micro-circulation and its anti-bacterial qualities help to reduce odours. 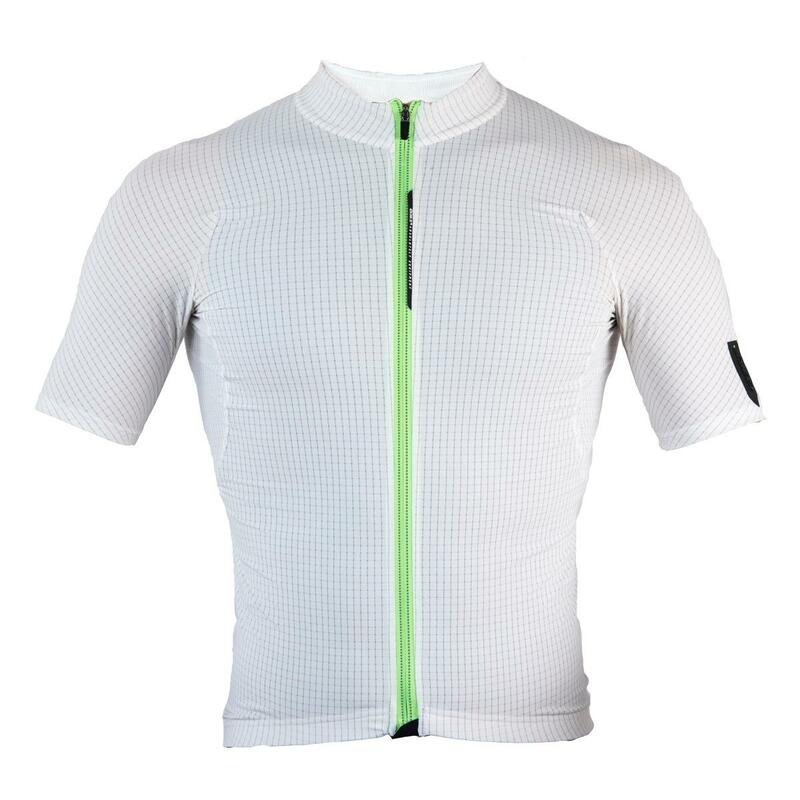 It also looks pretty cool, but make no mistake, this is a true performance innovation. High UV protection +50 SPF.